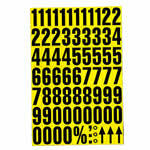 Magnetic tiles supplied on sheets of mixed alpha or numeric digits. Any modern warehouse needs to make sure that its stock is kept organised through a proper system to ensure that there are no errors created in either orders or deliveries. One of the most effective ways of doing this (as is demonstrated through any barcode system) is to give the products a code. 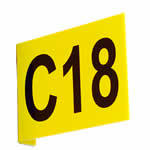 This saves having to worry about memorising the individual items, something that no-one has the time to actually do! 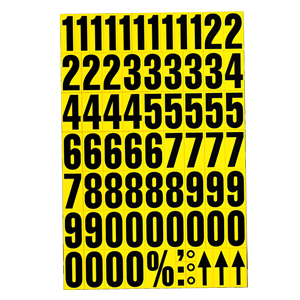 Our sets of magnetic numbers and letters are the ideal way to keep all items within a stockroom labelled with their own code in clear, easy-to-read typography. 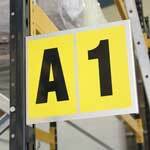 When used effectively, they will enable the warehouse to be easily and clearly labelled as well as ensuring that it can keep up to date with the latest changes to stock. 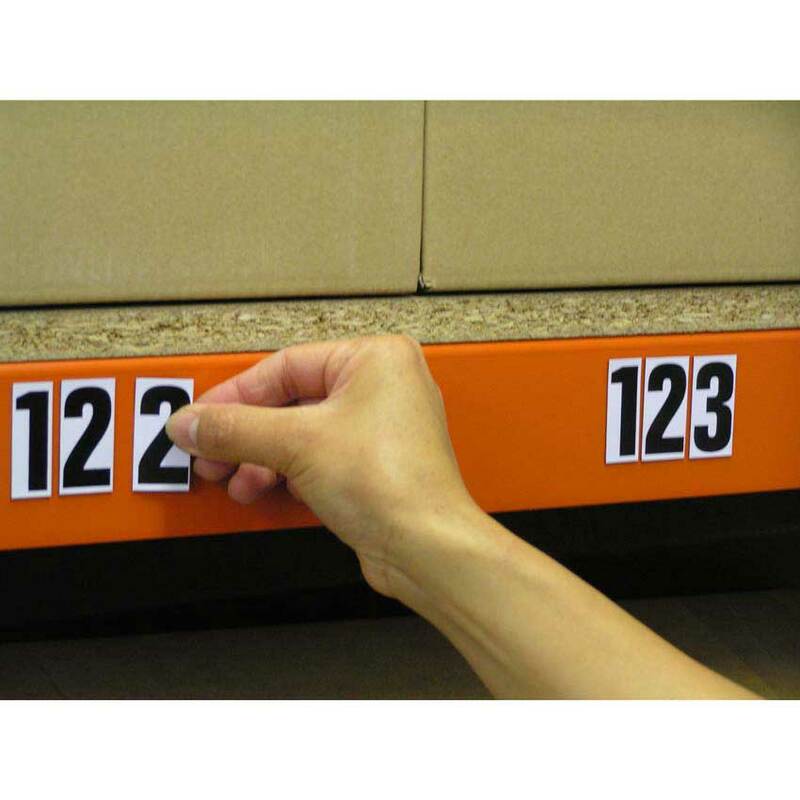 The tiles are available in two different heights of 23mm and 43mm, meaning that they can be used in a wide variety of shelving and racking beams. 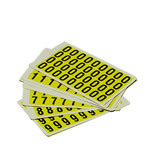 They will, of course, work on any magnetic surface, so their use is virtually unlimited. 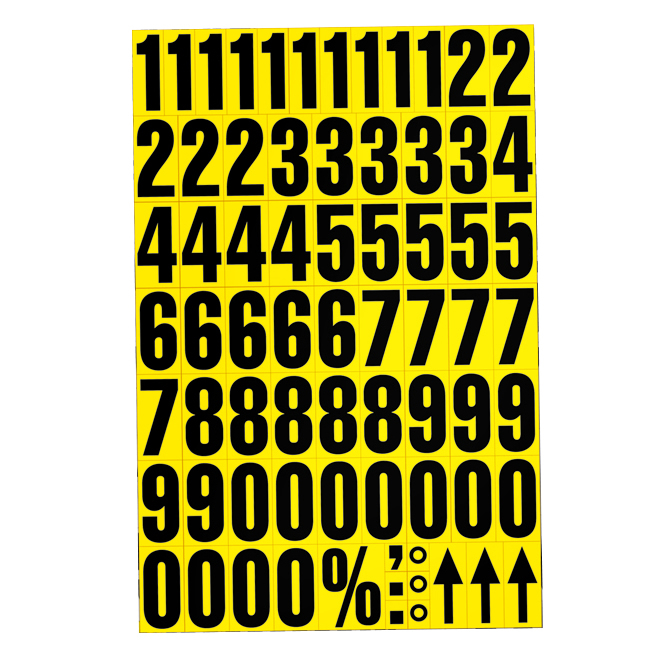 In terms of digits per sheet, there are four different pack sizes for letters and four different pack sizes for numbers – 55, 59, 198 and 192 – so you will be able to buy a pack that is suitable for the size of your warehouse. 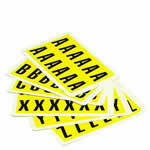 In terms of sector, these number and letter sets are definitely suited to the retail environment where clear labelling is vital.